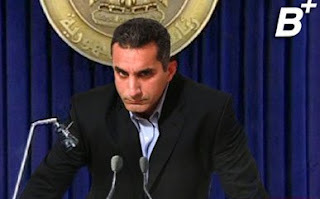 In his native Egypt, Bassem Youssef weathered cardiac surgery, the Arab Spring, and government-ordered arrest. Little did he know it was all survival training for the deluge of lunacy that awaited him in America. I’m talking, of course, about the rise of an aggrieved draft-dodging, Oompa Loompa-handed brat from Queens: Donald J. Trump.